Captain Kratom is the name for a line of Kratom products produced by Captain Amsterdam. The products are known for their packaging, which resembles a pouch and features bright colors with an illustrated pirate image. Are the contents of the pouch as impressive as the brightly colored outside? Unfortunately, there aren’t very many reviews on their Kratom products, or at all for that matter. Still, let’s take a look and see if they are worth the investment, or whether Captain Kratom needs to walk to plank. 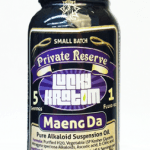 Captain Kratom’s product line features 10 items, including three kinds of regular powder including a Vietnam strain, and 3 kinds of capsules – Thai, Maeng Da and XL Maeng Da. They also feature extract, resin and tincture. 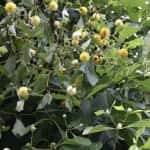 Captain Kratom has made excellent use of marketing to give their brand a fairly strong online presence, but its selection of products is quite limited. The capsules each contain about a gram and are Captain Kratom’s most popular products. However, except for general region, they do not offer a great deal of information on what the capsules actually contain. The same is true for their powders. No information is offered regarding the leaf color or specific effects, though they do make claims that the product is ‘strong’, which isn’t very helpful at all considering the range of possible effects offered by various strains. Is Captain Kratom Gold worth the Price? This is surprisingly a common ploy. A company develops a clever marketing scheme, or eyecatching visuals such as the brightly colored pirate, and spends significant time and money on gaining attention for their brand, while the actual product suffers. The recent rise in Kratom’s popularity seems to have attracted a number of these types of companies. Savvy entrepreneurs can make a great deal of money by following trends, but product quality isn’t always the best in these scenarios. Eyecatching packaging is pretty, but has no bearing on the actual product inside. What you, as a consumer, need is accurate and helpful product information. Anything else is just flash and not a good reason to spend your hard earned money. Captain Amsterdam has a two-tiered pricing strategy for their products. Fifteen grams of Thai powder sells for $15.99, while the same amount of the more powerful Maeng Da powders sell for $27.99. How does this compare to other vendors? We shopped around and found Red Thai powder for $13.99 an ounce. That’s almost twice as much powder for two dollars less than what you can get at Captain Kratom. Why so much? All we can figure is that the colorful packaging must be expensive. Unfortunately for the Captain, most Kratom users really don’t care what the packaging looks like, as long as what’s inside is good, that it arrives promptly and at a price that doesn’t land them in the poorhouse. There are several online vendors with better varieties and better prices. It only took a quick search to find some candid reviews of Captain Kratom on YouTube. 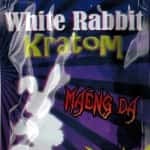 The cool thing about the Kratom community is that many of them are happy to share their opinions of and experiences with various products and vendors. Most reviews contain candid and helpful information from the people who use Kratom regularly. 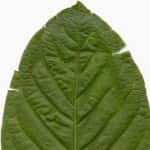 Reviews of Captain Kratom products indicates that they are indeed authentic, if a bit on the weak side. One user reports needing to take twice the usual dose to start feeling the effect. Captain’s prices are already significantly higher than their competition, and this simply doubles that. Maeng Da capsules do receive higher ratings for strength, but the XL size went to the opposite extreme and was found to be too strong. Also, the doses of the Maeng Da capsules was a bit awkward for most users. Some users say they purchased from Captain Kratom because the pictures of the packaging on their website was so eyecatching. The saying goes that you can’t judge a book by its cover, the same goes for any product. If you buy based solely on looks without looking any deeper, you’re bound to be disappointed. 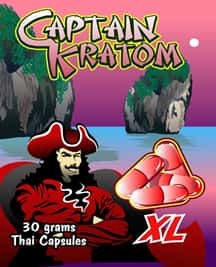 Captain Kratom has a whimsical and carefree look that catches the attention of many Kratom users. But under the surface, it seems that the product is all sizzle and no steak. The web selection is quite limited, with only three powders available. The prices are about double what you can find at other vendors who don’t spend as much trying to catch your eye, but rely on delivering high quality product at decent prices. 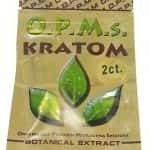 Captain Kratom does offer the occasional discount or coupon code, but even then their prices simply do not compare with other vendors. Skip the cartoons and spend your money on quality.